Five-time World Cup winners Brazil comfortably topped the 10-team South American qualifiers. Despite a 2-0 defeat in their opening game in Chile, Brazil remained unbeaten for the remaining 17, scoring 41 goals in the process. The Selecao were particularly formidable at home, going some way to banishing the memories of that defeat to Germany four years ago. 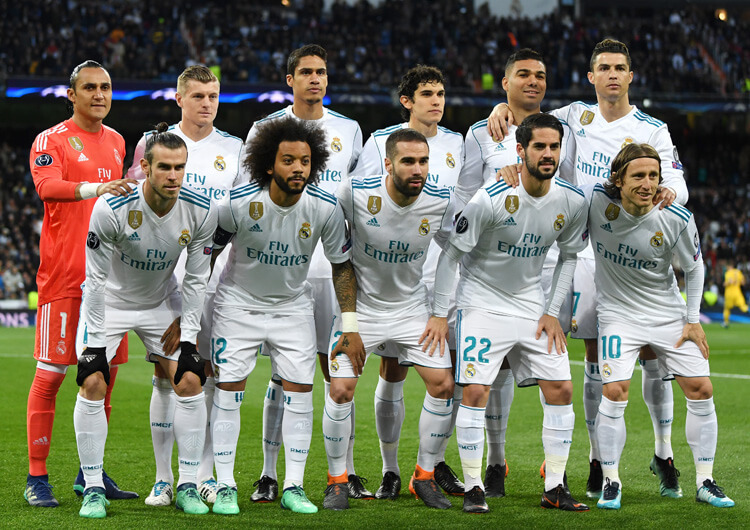 They won eight of their nine home fixtures, keeping six clean sheets and putting at least three goals past six opponents including bitter rivals Argentina. Only Uruguay escaped defeat, emerging with a 2-2 draw from their visit to Recife. Suddenly England’s 0-0 draw with them at Wembley in November starts to look just fine. Manchester City’s Gabriel Jesus top-scored with seven goals for the tournament favourites, with the rejuvenated Paulinho and star man Neymar (below) both chipping in with six as Brazil became the first nation to join hosts Russia at the finals. They retain their proud record of being the only country to appear at every World Cup. South America’s traditional football superpower looked anything but that on day one of qualifying, as sustained pressure from Copa America winners Chile finally bore second-half fruit. Edu Vargas volleyed home the opening goal, latching on to a free-kick from the right after 72 minutes, before Alexis Sanchez tapped in a second as full-time approached. It was the home side’s first World Cup qualifying win over Brazil since 2000. The visitors posed occasional threats, as powerful forward Hulk threatened with various attempts on goal. 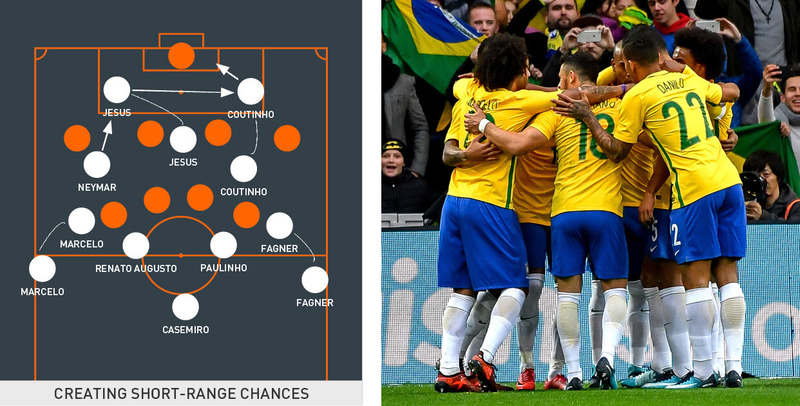 But, with both Neymar and Philippe Coutinho missing from the line-up, Brazil’s attack looked worryingly rigid. The pressure on head coach Dunga only grew ahead of the Copa America Centenario, where a disastrous campaign saw the World Cup winner’s spell in charge come to an end. Little over a year later, and with a very different line-up under new coach Tite, the Selecao battered an Argentina side featuring Lionel Messi to consolidate their lead in South American qualifying. Philippe Coutinho powered home a now trademark strike from the edge of the area after cutting inside from the left on 25 minutes. An incisive breakaway on the stroke of half-time doubled the lead, as Gabriel Jesus slipped a delicate through ball for Neymar, who finished low into the far corner. With Argentina looking disjointed in attack and wide open at the back, Paulinho added a third early in the second half. As the visiting defence failed to clear Marcelo’s cross, the former Tottenham midfielder pounced to make certain of all three points against their greatest rivals in the very same stadium that had hosted the 7-1 semi-final humiliation against Germany in 2014. João Miranda de Souza Filho, simply known as Miranda, is a hugely experienced central defender who is nevertheless heading for his first World Cup at the age of 33. He is not short of big-game pedigree, however – he was a multiple title winner with Sao Paulo in his native Brazil before moving to Atletico Madrid, where he was part of a team that claimed Europa League, Copa del Rey and La Liga victories in consecutive years from 2012 to 2014. Now plying his trade in Italy with Inter, Miranda (below, left) is an imposing central defender who has formed a formidable partnership with the ball-playing Marquinhos at the heart of the Brazilian defence. He is a strong tackler who brings composure and leadership to the tournament favourites. 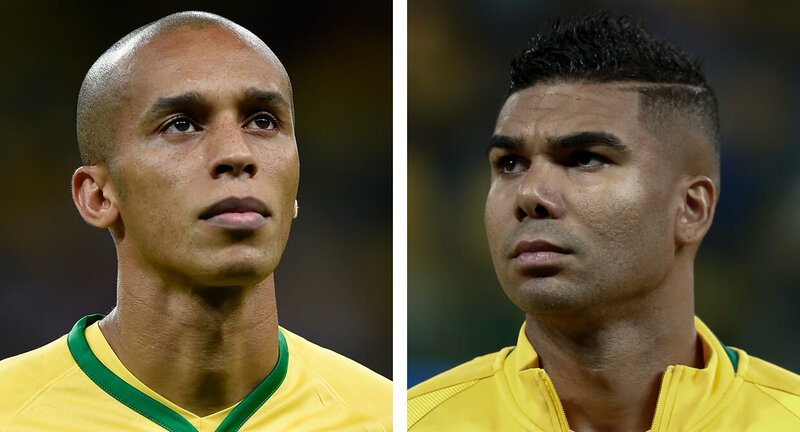 Despite all of Brazil’s attacking talent, they still require balance. In a potentially top-heavy team, holding midfielder Casemiro (above, right) provides it. A product of the Sao Paulo youth system, he was spotted early by Spanish giants Real Madrid. Officially signed in the summer of 2013, he spent a season on loan at FC Porto in neighbouring Portugal in 2014/15, gaining crucial experience of European football away from the glare of the Bernabeu. Since returning, Casemiro has made himself an integral part of the Real team under Zinedine Zidane, starting in back-to-back Champions League finals in 2016 and 2017. He scored Madrid’s second goal in the 4-1 victory over Juventus a year ago, and followed that up with another against Manchester United in the European Super Cup in August. Despite those strikes, he is Real’s chief protector in midfield – and he fulfils much the same role for his country. He is an accomplished passer when in possession, however, and can help the midfield control the tempo and rhythm of a game, often providing excellent through balls for his attackers to chase in behind the opposition’s back line. The superstar of the Selecao, Neymar is Brazil’s most popular player and also their most effective attacking outlet. A product of the Santos youth system, he made his club debut at 17 and his international debut just one year later. 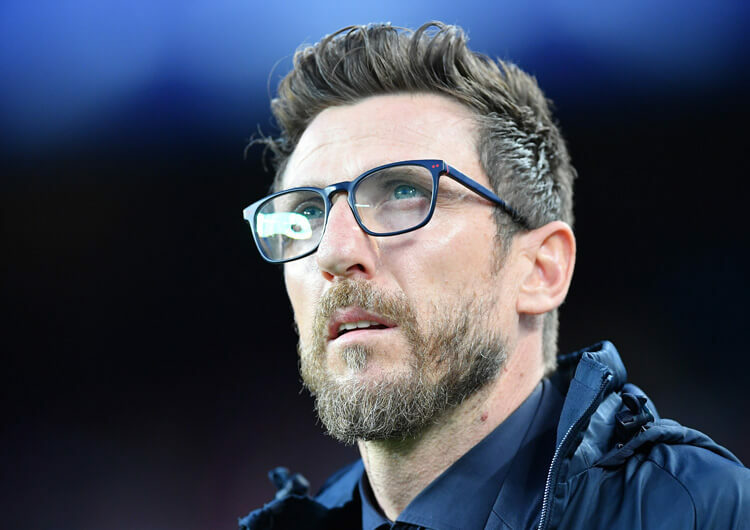 Huge moves to Barcelona, where he joined Lionel Messi and Luis Suarez in an irresistible and Champions League-winning forward three, and latterly PSG followed. Before the injury that threatened his presence at this World Cup, the 26-year-old had scored 28 goals and created 19 more in just 30 appearances for the French champions. A wide forward predominantly operating on the left side, Neymar has incredible speed and skill within the final third. He often finds himself double-marked throughout matches, but he is superb in possession in tight areas, and capable of getting accurate shots away from most positions. 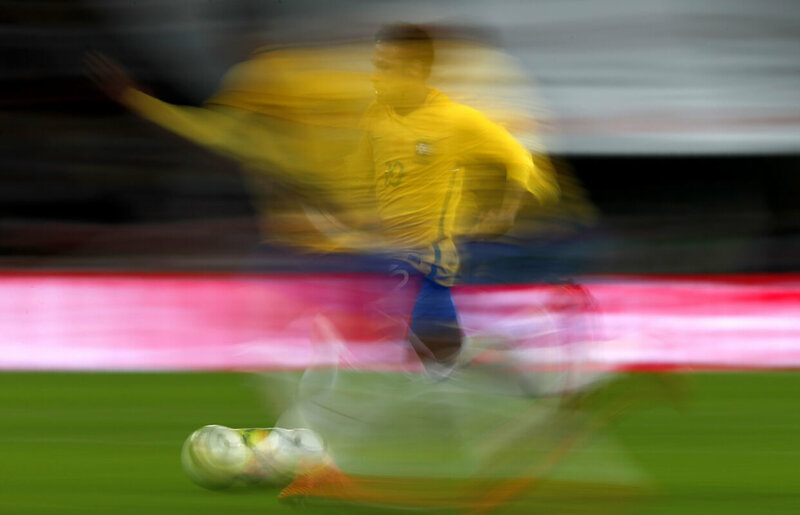 A natural crowd-pleaser, he may be short of full fitness for his team’s opening matches – but when fully fit he is the focal point of most of Brazil’s attacking play. After retiring from a modest playing career in his native Brazil, Adenor Leonardo Bacchi – commonly known as Tite – moved into coaching. 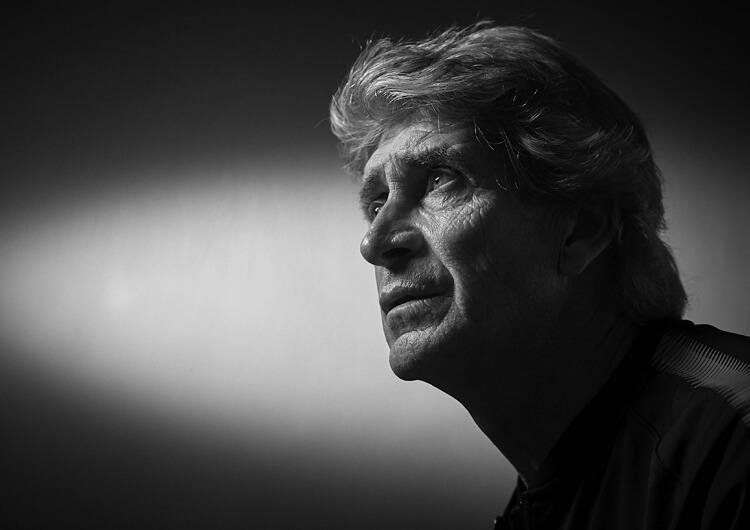 He has managed a number of clubs, mostly in Brazil, with his most successful period coming during his second and third spells in charge of Corinthians. The years between 2011 and 2015 yielded two domestic championships, a Copa Libertadores title and even a FIFA Club World Cup win over then Champions League holders Chelsea. 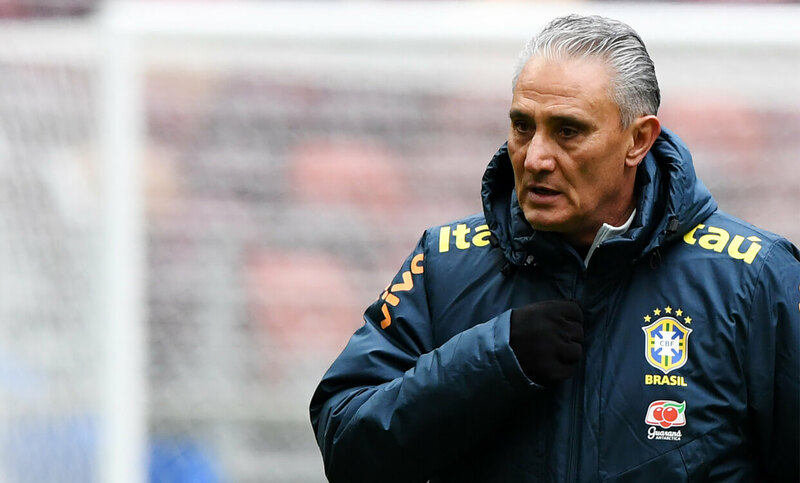 Tite took the reins from the jettisoned Dunga after six games of the qualifying campaign, with Brazil an unthinkable sixth of 10 in the group. He began with a 3-0 win in Ecuador, however, and led the team on a run of nine straight qualifying victories that blew the opposition away. By the time the campaign ended in October, Brazil were 10 points clear of second-placed Uruguay. Their new coach had restored order at the back and brought a renewed sense of attacking verve to the team further forward. Brazil possess a solid defensive record, conceding only 11 goals in 18 qualification matches. Impressively, they conceded only twice – away in Uruguay and Colombia – in the last 10 of those. Likely first-choice goalkeeper Alisson (above, right) has enjoyed a fine season with Roma. They do have their vulnerabilities, however, particularly when defending crosses. Of the 11 goals they conceded in qualifying, eight came from crosses into the penalty area. It is a general weakness, too – of those eight, four came from either flank, five in the air and three on the ground (see above). Attacking crosses that lead to goals from deeper positions tend to stem from fast counter-attacks against the Brazilian back line. With both full-backs often joining the attack, and simultaneously moving into more central positions, the distance for potential recovery runs is therefore increased. This allows teams to counter-attack into deeper positions in the channels and provide attacking crosses from there. Brazil are often associated with flair and flamboyance, and Tite has his front line living up to the heritage. Even with doubts over the fitness of star man Neymar, this team is more than capable of slicing through the most compact defences in world football. Throughout qualifying, they consistently demonstrated a desire to play through the centre of the pitch. Only six of their 41 goals – featuring 11 different scorers – came from outside the area; even if teams reverted into a compact low block, the Brazil attack still tried to dance their way through the middle. In typically Brazilian style, they always work the ball to the player who has the best chance of scoring. A large amount of goals will be finished inside the six-yard box, as they dribble and twist their way through the defence (see above), often luring out the goalkeeper in the process. The best teams often create the easiest finishes – this is the essence of this side. Further back, both full-backs and wide midfielders will often look to cut inside when in possession, looking to attack the weaker side of their opposite numbers and link with central attacking players of their own. They will then look for quick central combinations, using all the turns, flicks, and scoops so regularly identified with Brazilian football. As there is a high chance Neymar may miss one or more of Brazil’s group games, they have been practising different final-third combinations. Two main alternatives involve slightly adapting their usual 4-3-3 attacking shape. Firstly, they could look to use a 4-2-2-2 structure (above, left), with the main focus around two central forwards. Both Gabriel Jesus and Roberto Firmino have jostled for the central striker role in recent months, but with the potential absence of Neymar, they could be deployed together. Philippe Coutinho could then be utilised just behind, along with Barcelona teammate Paulinho, as two centrally supporting number 10s. If Brazil are required to attack with more width, Douglas Costa and Taison could be utilised as attacking wingers. Both possess speed with the ball and could feature if Tite wants to revert from his preferred central attack against teams leaving space in wide areas. This approach could also be linked to an extremely aggressive high pressing game. Leading with Firmino, Coutinho and Willian as a central pressing trio ahead of Casemiro at the base of the midfield could offer Brazil an alternative defensive approach. If they elect to aggressively press the ball high and keep it pinned in the opponents’ half, this could help negate the issues they have had defending crosses.